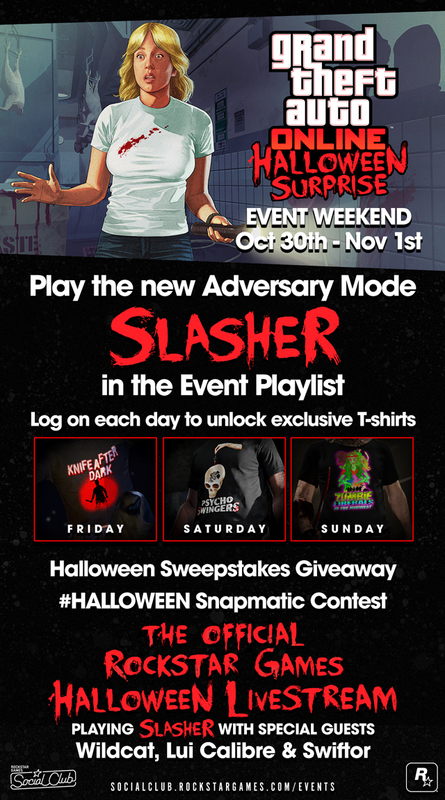 Slasher is the brand new Adversary Mode which pits a shotgun wielding menace against a pack of foes hiding in the gloom waiting to strike with melee weapons. So that you can launch straight into the action, the Event Playlist features three different variants of this game mode and is accessible directly from the GTAV launch screens at the press of a button. If you're already in-game and want to go back for more, simply go to the Event Playlist in the Rockstar Playlists section of the pause menu. Social Club members will no doubt be taking the opportunity to grab some Snapmatics of the awesome new vehicles and masks from the Halloween Surprise while they are still available in GTA Online. Rockstar Games is upping the ante to give you a little extra incentive to get your pictures published to Social Club and shared with the world. Whether it's ghoulish masks lit from an odd angle by the new flashlight, or perhaps you've found the perfect spot to capture the new Lurcher Hearse or Franken Strange... To enter, simply publish your Snapmatic to Social Club by Sunday night and make sure that you've tagged it with #Halloween on Social Club. Then, keep an eye on the Rockstar Newswire as they'll be announcing the winners sometime next week along with the winners of last weekend's #Lowriders photo contest as well. 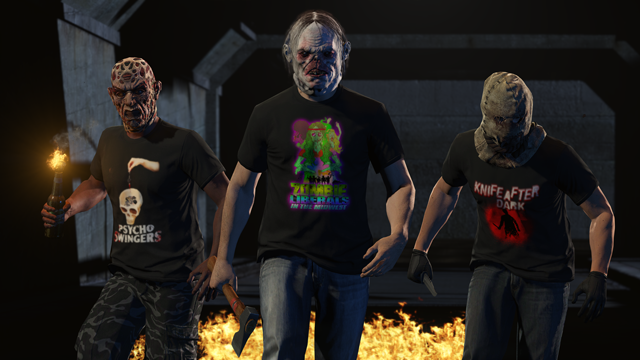 If you want to get ahead of the game with an outfit idea for Halloween 2016, Rockstar is giving away 5 very special Social Club Event Weekend Sweepstakes Prize Packs, each containing three different costume ideas: the Bugstar boiler suit, the Merryweather t-shirt and the Los Santos Lifeguard t-shirt. 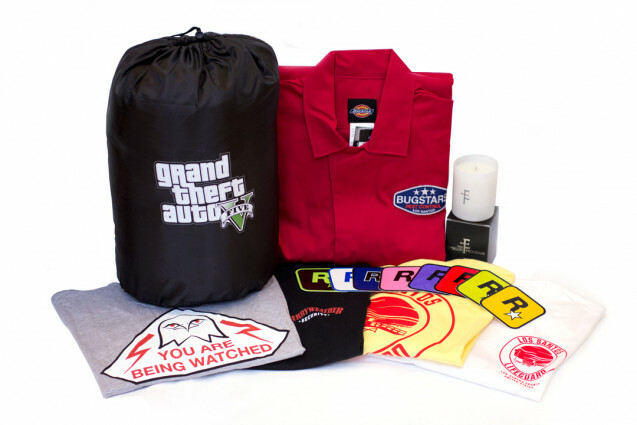 If you prefer to keep your Halloween weekend a little more sedate, perhaps with a séance in the woods, they've got your covered with the GTAV Body Bag Sleeping Bag, as well as a Epsilon Program candle to help light your way. They are also throwing in a few Rockstar and GTAV stickers for good measure. If you want to have a chance of winning one of these five prize packs, head over to the Social Club Events Page now. The Halloween Surprise DLC is downloaded automatically when you start up your PS4/Xbox One/PC version of GTA V.
So, it would appear PS3 and Xbox 360 users miss out again. Last year we had double RP and double GTA dollars in all deathmatches, all weekend long - including Rockstar created, Rockstar verified and all player-created deathmatch jobs. We also had 75% off Lester's off the radar service and several other goodies of greater or lesser value. But this year we seem to get nothing - nothing at all. It is not as if there is any form of technological update necessary simply to give us exactly the same as what we received 12 months ago. If this is indeed true, then it is very disappointing - yet again. 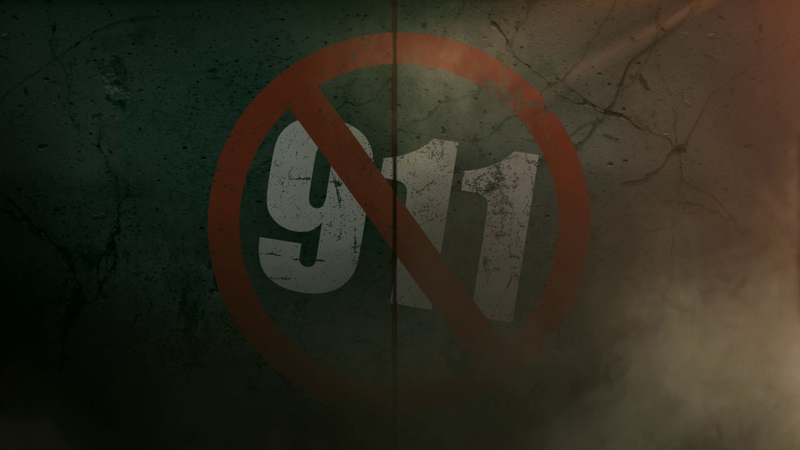 GTAO Halloween Event Weekend - Another weekend of fun for new-gen GTA Online featuring a Halloween theme.